The Discover It Balance Transfer credit card offers consumers a way to pay down debt by offering a longer than average intro APR period. If you're like millions of Americans in debt, this could be the card for you! If you’re like many Americans, you could be in over your head when it comes to credit card debt. Sound like you? If so, you may benefit from a card that helps you pay off debt more quickly. Such a credit card is known as a balance transfer card. 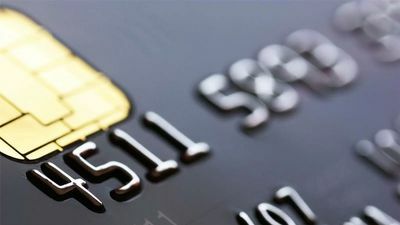 That’s because these cards make it easy for you to transfer debt and offer incentives, usually in the form of introductory APR periods, that help you snuff out debt for good. One strong choice for balance transfers is Discover It Balance Transfer. If you have Excellent and Good Credit, but have accumulated a lot of debt getting there, this card may be a solution for you. Let’s look at the nuts and bolts of this Discover it card. First, it comes with a stellar APR offer on balance transfers: 0% for the first 18 months. It’s not as great a card for first time purchases. It still offers an intro period, but it’s much shorter at 0% for the first 6 months. That’s okay, this card is a solid choice for doing what it’s intended to do, helping you crush your debt. By offering an extended APR intro period on balance transfers, you’ll have a good chance of paying off your debt if you play your cards right! No annual fee also makes this card special. Well, special when compared to some other cards in the same vein that do have annual fees, but not special when comparable to other Discover cards. This is a selling point for Discover’s suite of credit cards, and you may remember them saying it if you’ve ever watched a Discover commercial. All things considered, the Discover It Balance Transfer is a great card for anyone looking to erase their debt. Just remember, paying down credit debt is a marathon not a sprint, in most cases, but with this card, it’s easier than ever!